Mimi's Marshmallow Bombs - The Best Breakfast For Your Mouth! 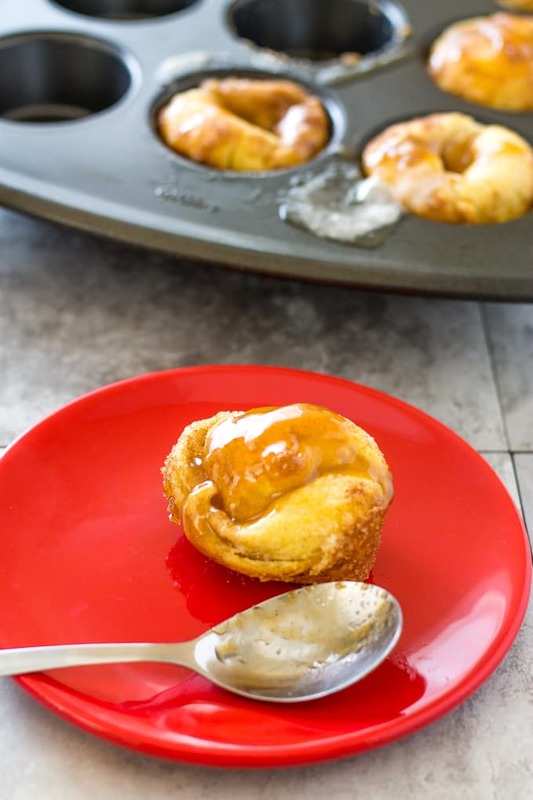 Home » Mimi’s Marshmallow Bombs – The Best Breakfast For Your Mouth! I don’t know many people who wouldn’t eat any of the following ingredients: Crescent Rolls, marshmallows, butter, cinnamon, or sugar. What happens when you combine all of the above? Absolute breakfast heaven in the form of Marshmallow Bombs! These marshmallow bombs of buttery love are at the top on my short list of breakfast foods I actually enjoy. Here is the story of my introduction to them and the recipe so you can become as equally addicted to them as I am. I was introduced to these marshmallow bombs of tasty goodness on my first trip to meet my in-laws. I didn’t know at the time that they would be my in-laws since my husband and I had only been dating for about 6 weeks, but I was hopeful. Traveling from Jacksonville to Waycross that day was nerve-racking as I wasn’t sure what to expect meeting his “Southern” parents from Kentucky. Everyone knows that Jacksonville, while located in the South, is not a “Southern” town, in addition to the fact that growing up in my crazy house, we were a far cry from “proper.” Will they sit on the porch and drink sweet tea, collect fireflies in mason jars, and will my future MIL wear an apron and make pecan pies? Am I thinking of movie characters or stereotypes? How would my manners hold up? Well, all that anxiety melted away like butter on a hot piece of toast, when I met Judy, Larry, and Whit, my soon to be brother-in-law. More on him another time. His family was very pleasant, not a stereotypical caricature of someone from “Gone with the Wind.” My manners held up during our extensive time at the dinner table talking and telling stories (2+hours), and then we headed to bed. Upon waking, the house was filled with the scent of cooked pork and sugar! What could be better for breakfast?!?! After following my nose (in my PJs, no less) to the kitchen, I was greeted with a spread that rivaled a Las Vegas buffet. 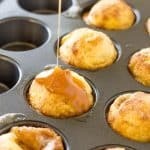 Tea, juice, coffee, bacon, sausage squares, eggs, and these beautifully golden “muffins” dripping with caramel and topped with nuts. What were these amber-colored balls of mystery that called to me? Why were there only 9 of them? Everyone took one as the platter went around the table and put it on their plate, then they mistakenly passed the platter to me. I begrudgingly took one (manners and all) and placed the platter on the table in front of me. I picked up that warm muffin and took a bite. Never in my life had I tasted something so delicious. Perfectly warm and toasty with the right amount of savory to balance the sweetness. Gooey on the inside and crispy on the outside, they seemed to collapse in your hand and melt in your mouth. I ate one piece of bacon so not to look like a beast before I proceeded to eat more of the marshmallow bombs. Guess whose manners exited through the back porch door and out to the barn? I ate the rest of them in record time, straight from the platter. I even licked my fingers and wiped my face with the back of my hand. How classy was that? Here is the recipe for Mimi’s Marshmallow Bombs and an opportunity to throw your manners out the screened porch door. Make sure you double the recipe if anyone besides yourself is eating! Combine the sugar and water in a small heavy saucepan. Bring to a boil over medium-high heat while stirring occasionally until sugar is dissolved. Boil without stirring until the mixture turns to an amber color. This should take between 5-8 minutes. When it reaches the desired color, remove from heat and slowly add the bourbon. It will bubble up! Return the pan to low heat and stir until the bourbon is incorporated. Remove from the heat, let cool, and store in the refrigerator. Bring to room temperature before using. 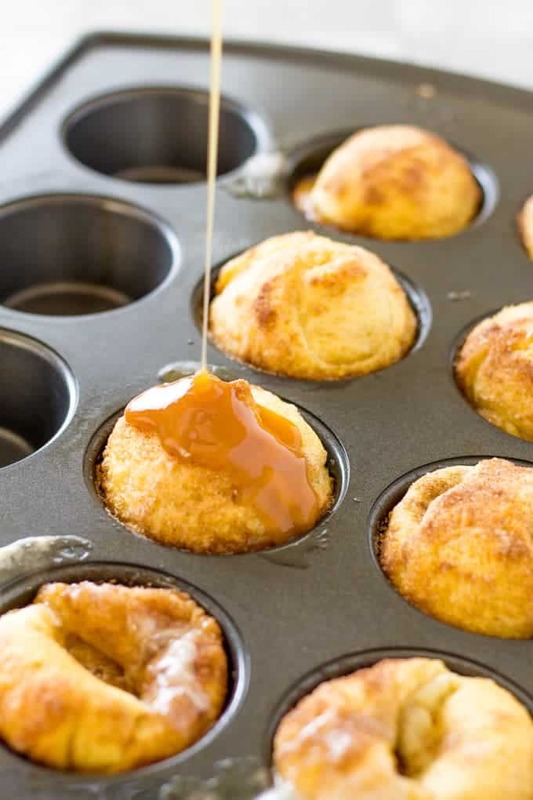 Get out your normal sized muffin tin. No need to grease the pan, as they will be sufficiently greased! In a small bowl, combine the cinnamon and sugar. In another bowl, melt your butter. Cut the crescent roll dough sheet into 9 equal squares. Roll your marshmallow in the melted butter. Roll the buttered marshmallow in the cinnamon/sugar mixture to coat. 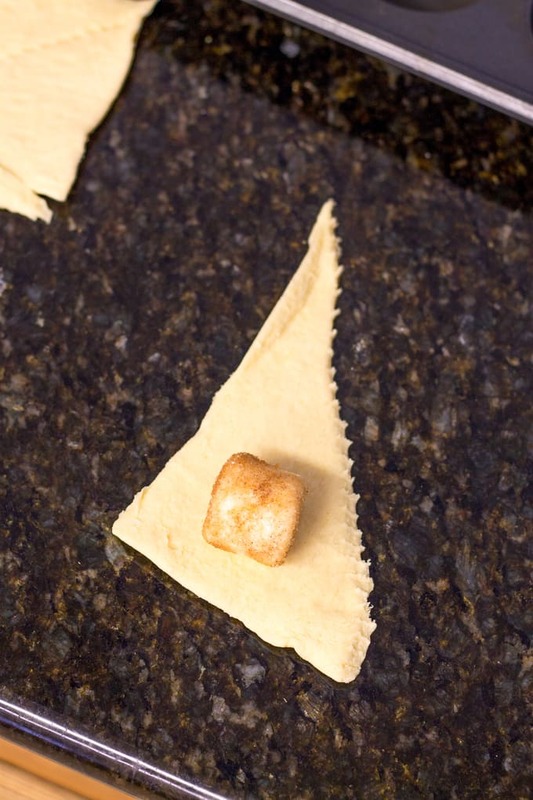 Place marshmallow on the small corner of the crescent roll square. Roll the marshmallow up in the crescent roll carefully tucking all edges around the marshmallow. Pinch all the seams closed to completely enclose the marshmallow in the roll. Roll the bomb in the melted butter. Roll the bomb in the cinnamon/sugar mixture. 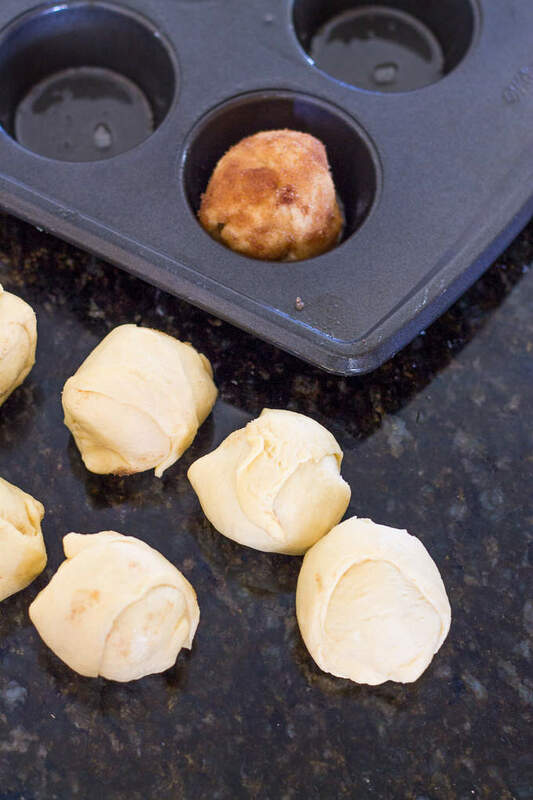 Place bomb in one of the muffin tin cavities. Repeat all the steps with the remaining rolls and marshmallows. Bake at 375F for 10-15 minutes or until the outside of the bombs are golden brown and slightly crispy. While the marshmallow bombs are baking take the caramel sauce out to warm up a bit. When the marshmallow bombs are finished, remove them from the oven and let cool for a few minutes. Remove the bombs to a serving tray and drizzle with bourbon caramel sauce and top with chopped toasted pecans. I cannot believe I happened across, by accident, something I had hunted from a childhood memory & had pretty much given up. It seemed so simple, but what did I know as a kid. I remember sitting on top of my grandma’s big round kitchen table as a tiny kid cutting out round discs from rolled out dough, dunking, etc and watching her pinch them shut with the pinched end down inside the tin. Tho I certainly couldn’t recall temperature or time in oven. As got older & asked about the recipe, sadly she couldn’t recall what I was talking about, & my mom said she never saw my grandma (paternal) make such… such disappointment. Both my grandma & mom are gone now, so I no knew my luck was gone. And the flavor well faded in my memory. 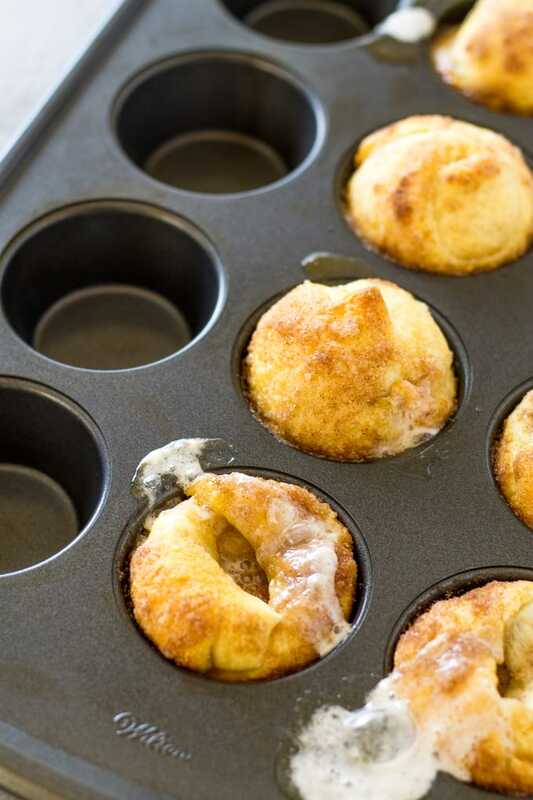 Low & behold I was looking at pastry recipes, & up came similar w apple pie filling called “apple bombs” so I searched for “marshmallow bombs” … and here we are. 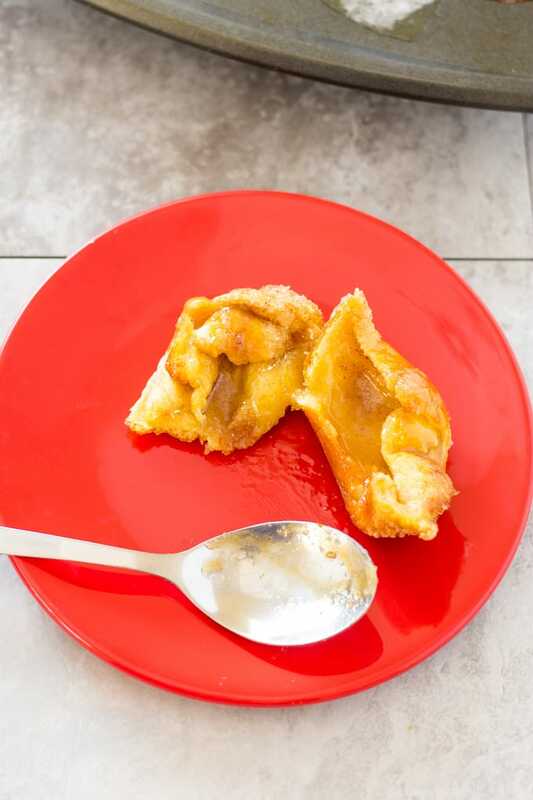 I’m floored that after all these years, & it has been many, to have this recipe in my hands, and it really is as simple as my childhood mind mostly remembered! I am so glad! I collect old cookbooks just for this reason. Once the people that make the recipes are gone, we are just left with memories! Absolutely love your story about these. They look so inviting and sound super delicious. I will definitely have to make at least 2 batches every time.